Make this holiday season a McGill one. Until Dec. 22, grab all your favourite McGill insignia clothing and accessories, books, games, electronics and more at specially marked down prices! Make this holiday season a McGill one. Until Dec. 22, grab all your favourite McGill insignia clothing and accessories, books, games, electronics and more at specially marked down prices! 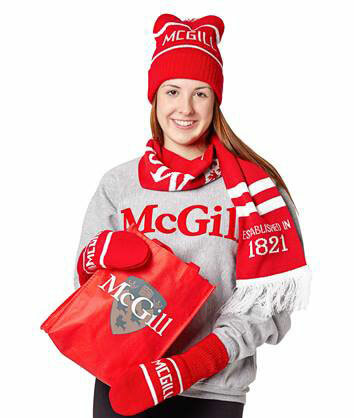 Faculty and staff get 20 per cent off items not already discounted. Please present a McGill I.D. prior to purchase. Some restrictions apply. Check out holiday flyer for information on sales and great gift ideas.